I couldn’t find feathers that were small, sturdy and that didn’t cost a bomb. 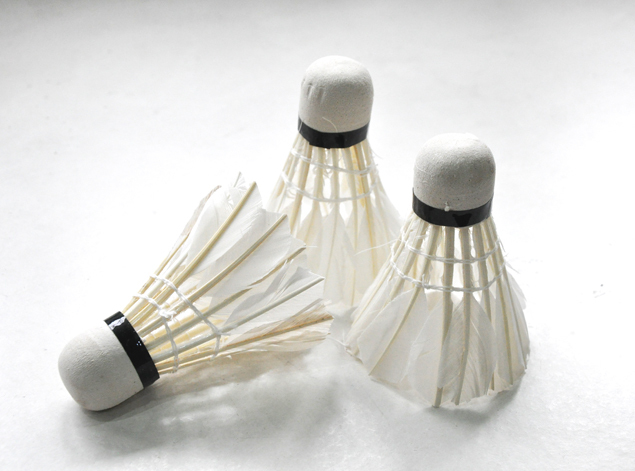 So the next best thing was to get some badminton shuttlecocks. I got three at Daiso (the two dollar store) and this makes for about 15 sets of two feathers each. 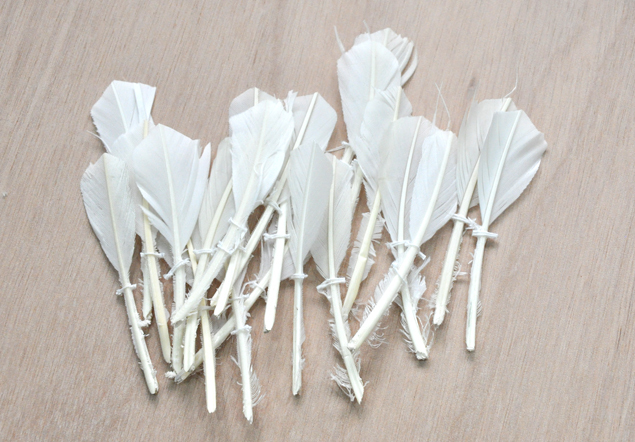 To get the feathers out, cut all the connecting strings. The first row of string was glued for some reason and it’ll take a bit of effort to pull it off the feather completely. I decided to just leave some bits on to keep it raw. It also helped with the wire binding later on if you don’t mind a raw finish. 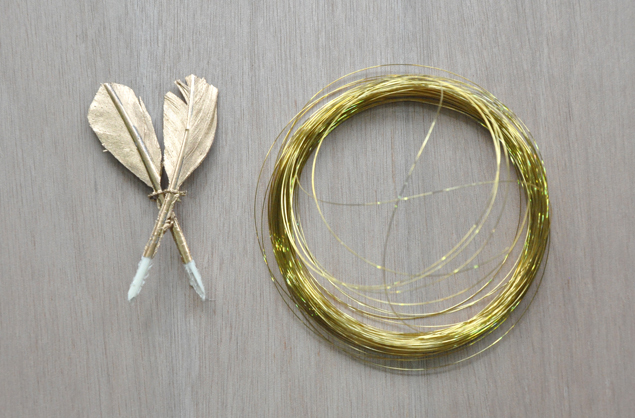 You should end up with a whole lot of feathers in a consistent size. If you don’t mind leaving them white, you’re halfway there! 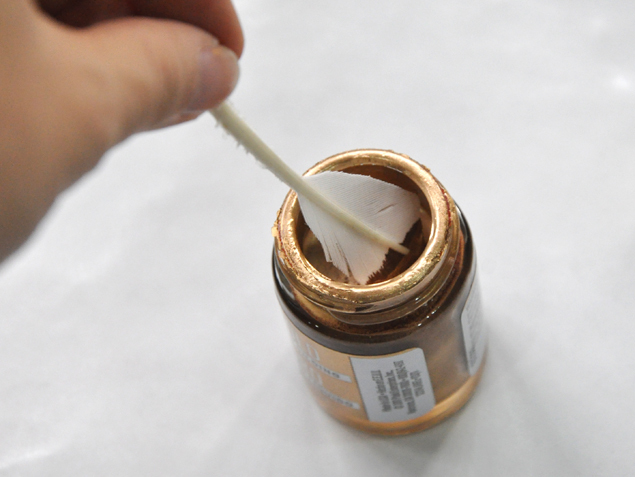 To make them gold, I dipped them in gold liquid gilding and used a brush to even it out. I decided to leave the ends white for slight contrast and also because it’d make it easier to hold while painting. Leave them out to dry. I placed them on the waxy side of freezer paper so they wouldn’t stick as much. 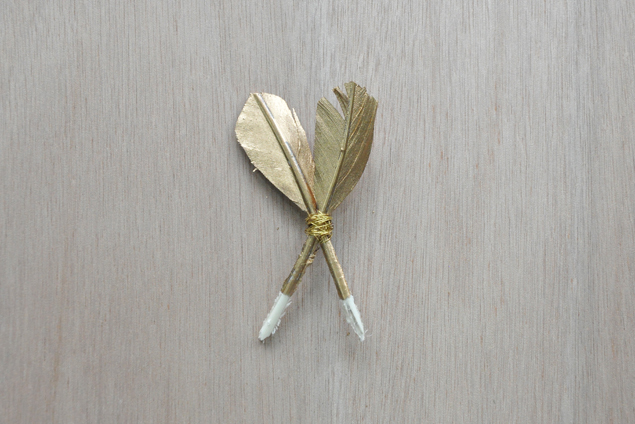 Once dry, pick out two feathers and make sure you’re happy with the way they cross. 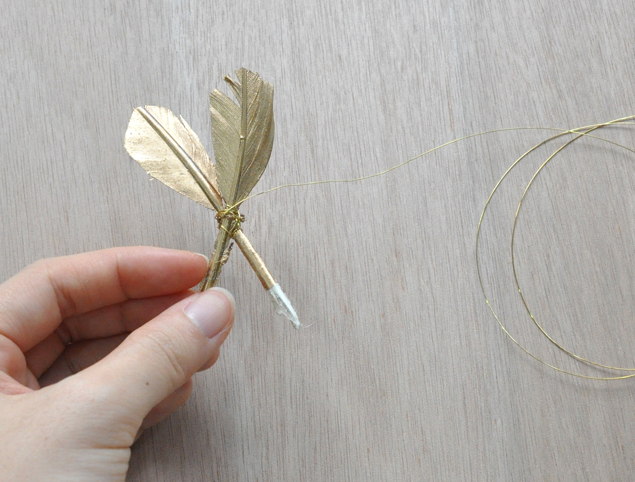 Use some thin wire to bind the feathers together. The gold didn’t really match here, but I used whatever I had handy and I think it looked alright in the end thankfully! 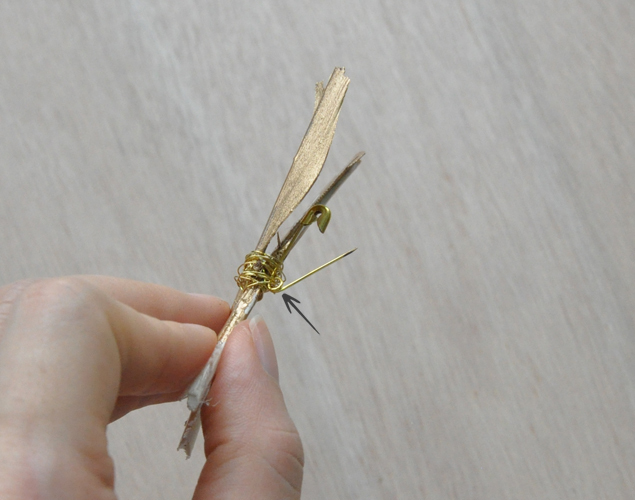 Use one hand to hold the joints together and the other hand to wrap the wire around. 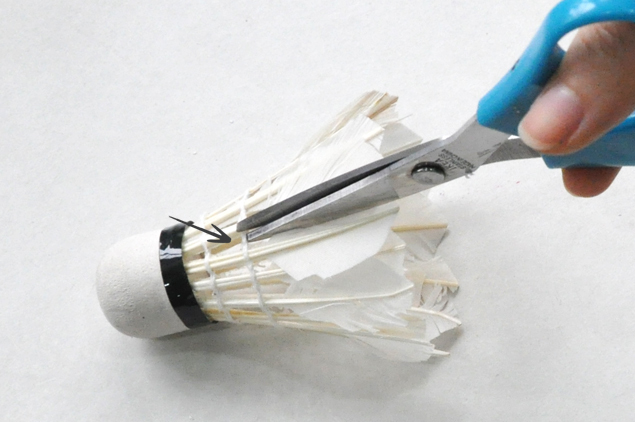 Try to wrap around the different joints to hold it down securely, the same way you would with making a basic kite joint. 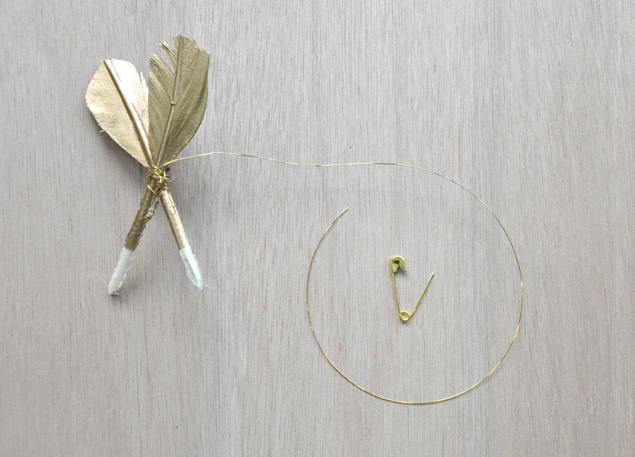 Grab a safety pin (the smaller the better so it won’t leave too big a hole on clothes), and leave yourself some wire to secure the pin to the feathers. 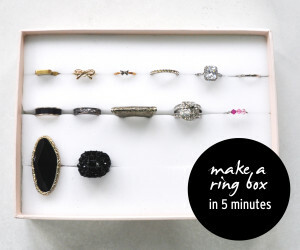 Leave the safety pin open so it’s easier to wrap the wire round. 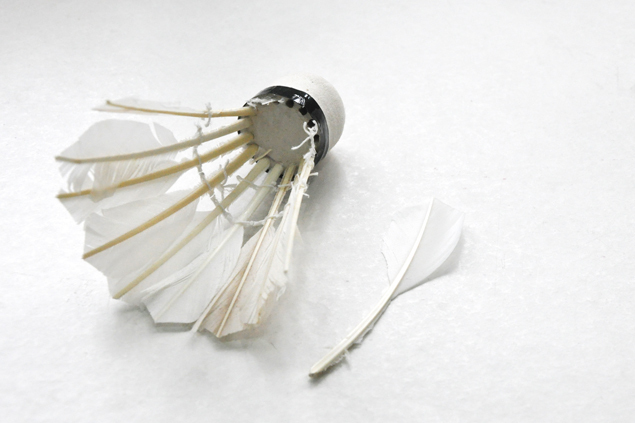 Go through the eyelet at the base of the pin several times, and the body of the pin too. Wrap till it’s secure. And there you have it! 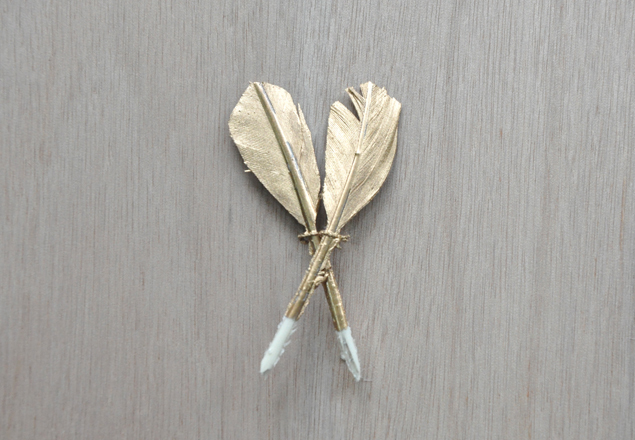 A simple gold dipped feather brooch. I decided not to be a perfectionist with the wrapping as it looks quite nice in a non-fussy way with the wire wrapped around like that. 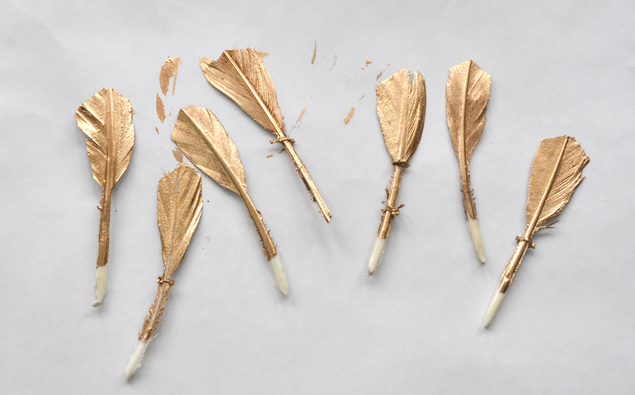 I’ll probably try to use some of the feathers for the boutonnieres too, but will share that another day when I get down to it. Ohh I love this, Michele. So creative and unique! Adorable! Very cool idea! I can just imagine all the possibilities!